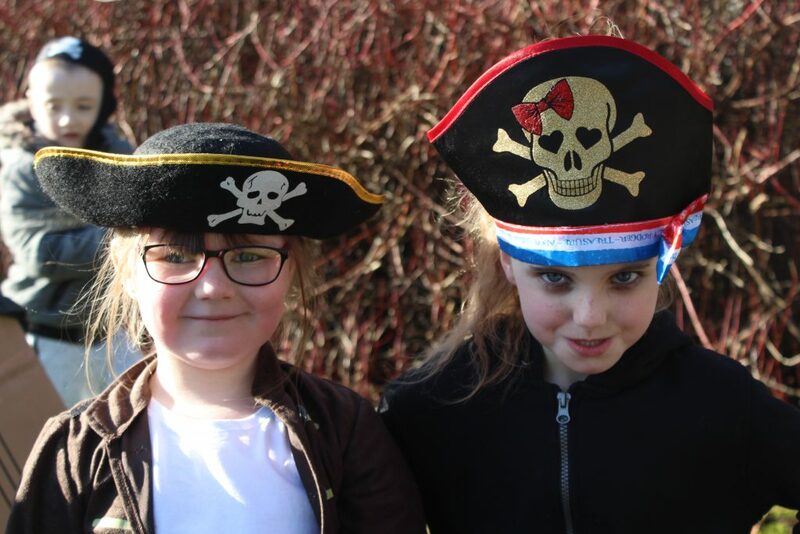 Ahoy Matey, here be pirates! 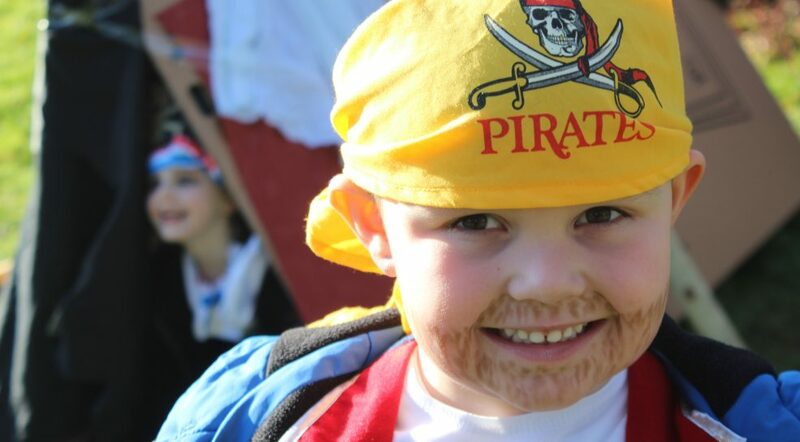 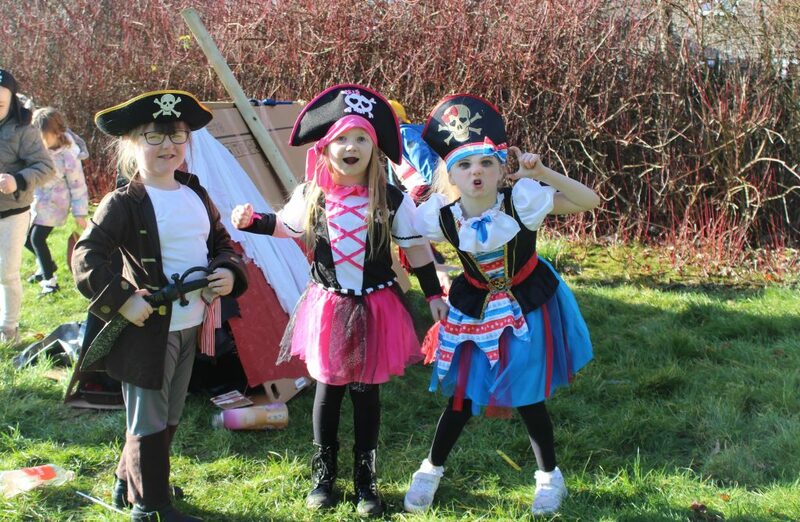 Year 1 enjoyed a wonderful pirate theme day. 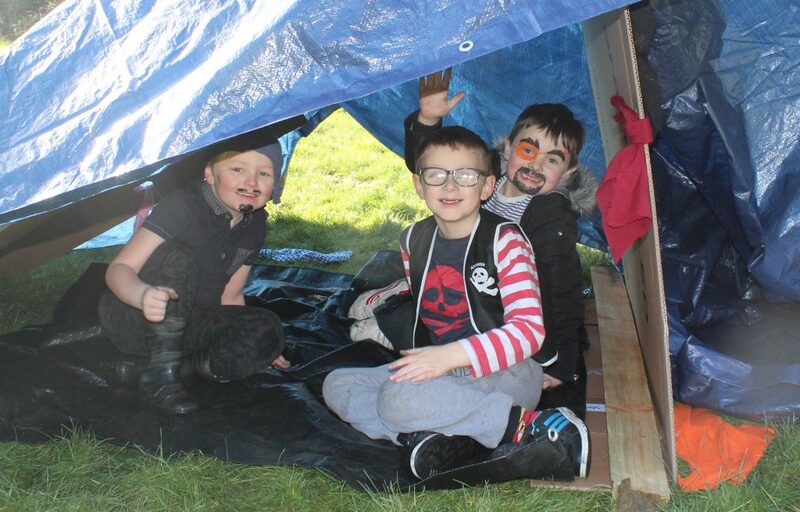 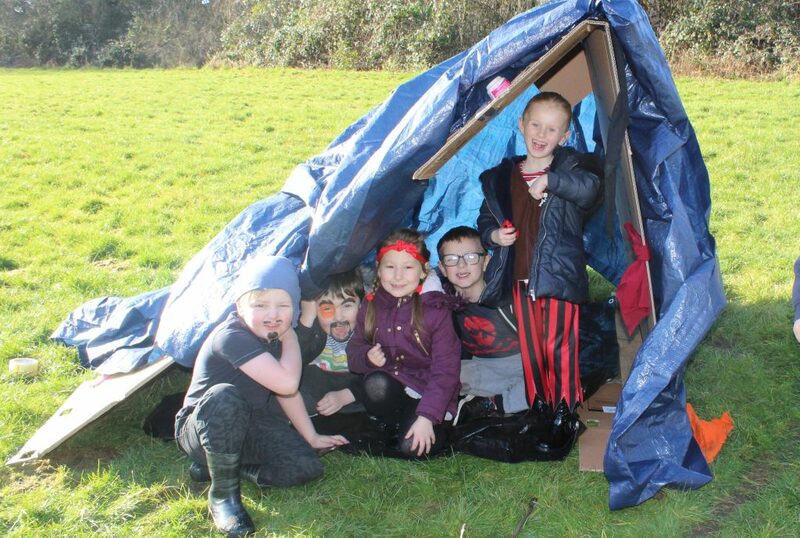 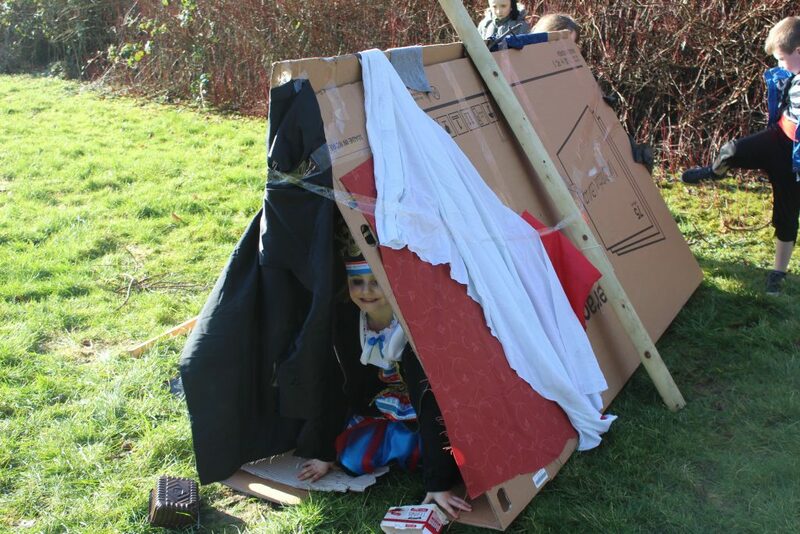 Pirate Pete ran aground on the school field and needed the help of Y1 to build waterproof, windproof shelters out of the remains of his ship. 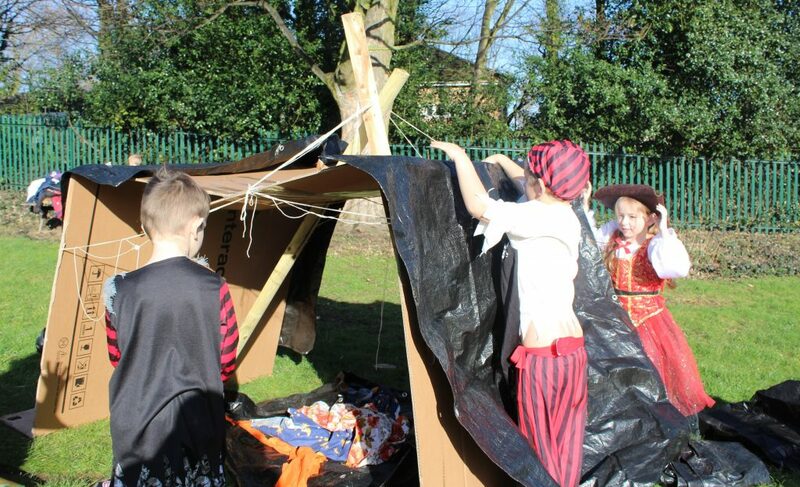 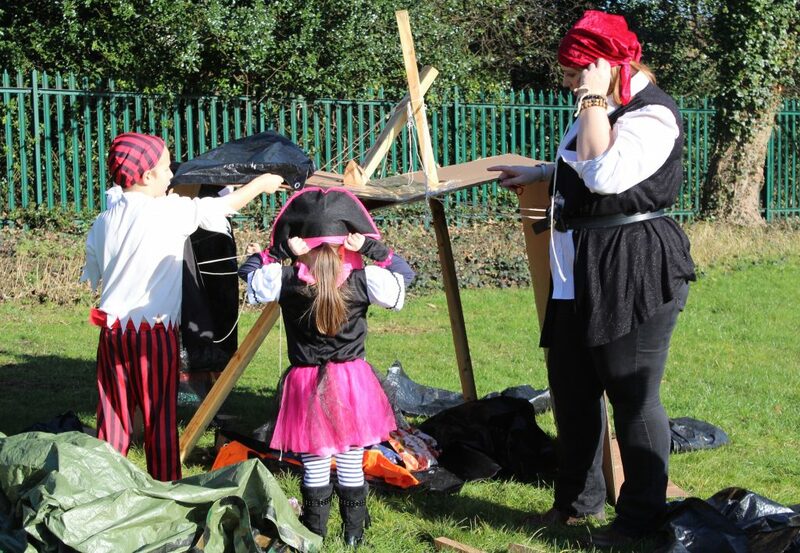 They then had an afternoon filled with pirate fun – creating and following maps and of course, finding buried treasure!